Dive into the creative world of Minecraft with this Minecraft Master Collection from Microsoft. 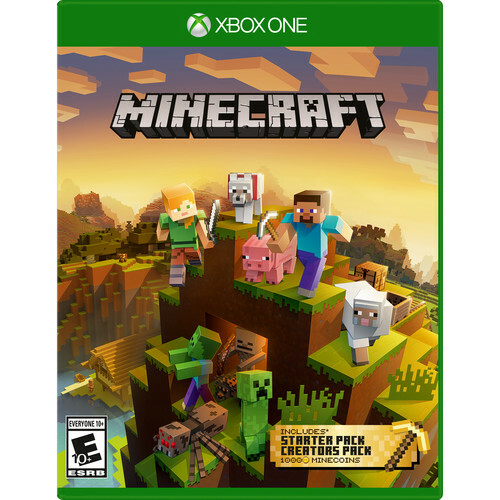 In addition to the base Minecraft game, you also gain access to the Starter Pack DLC and the Creator Pack DLC. You also get 1000 Minecoins to spend in the in-game marketplace to get even more maps, skins, and texture packs. Box Dimensions (LxWxH) 6.75 x 5.3 x 0.55"